Antique Drawer Pulls. 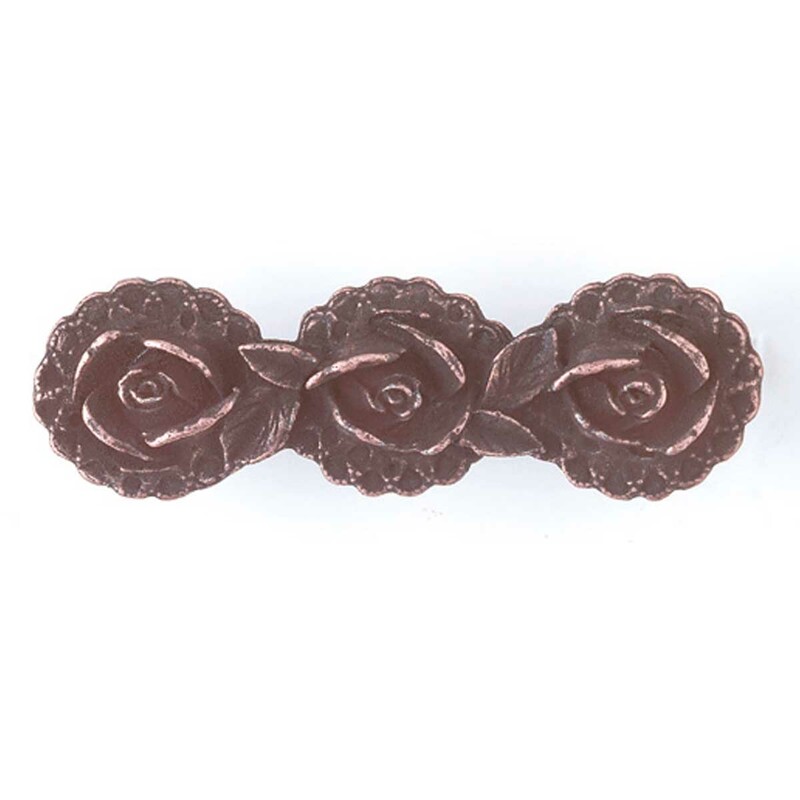 This decorative "antique brass" cabinet pull is made of electroplated zinc with an antique copper finish. It is 1" high x 3 1/2" long and has three connected flowers on a horizontal line. It has a 3" boring making it appropriate for use on most drawers.